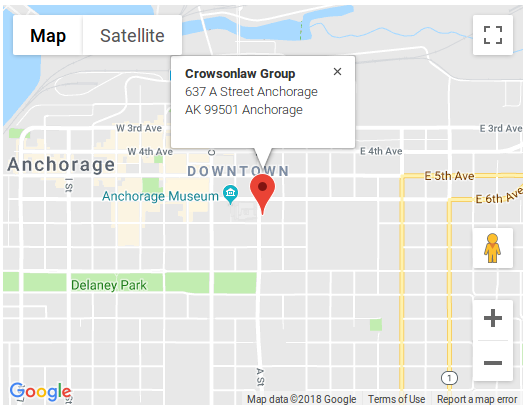 Whether you have been injured in an auto accident, at the workplace, or in some other way due to the carelessness of another, the personal injury lawyers at Crowson Law Group can help. We offer 100% FREE case evaluations and only get paid if you win. 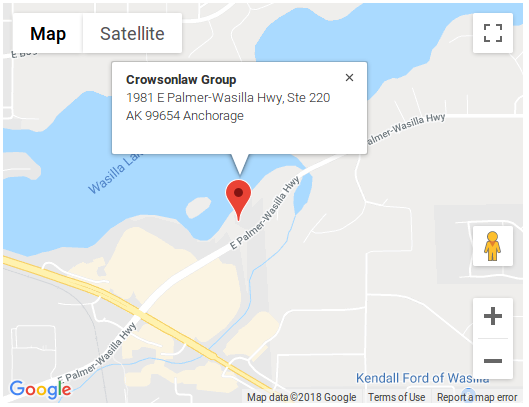 With offices in Anchorage and Wasilla, you are never far from getting the help you need.